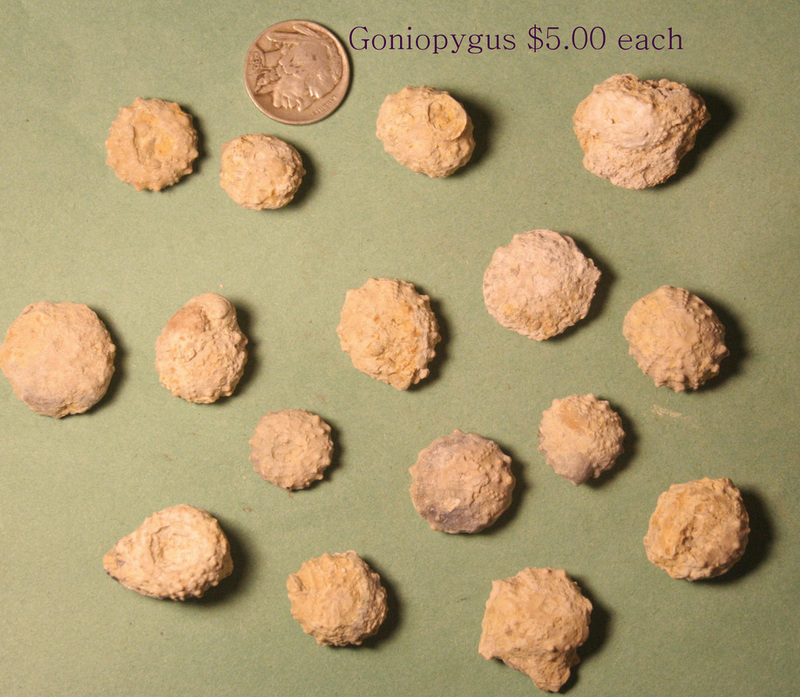 The Goniopygus guadalupe is from the Glen Rose Formation of Comal County, Texas. Cretaceous period. Condition and prices vary from study quality to specimen quality. 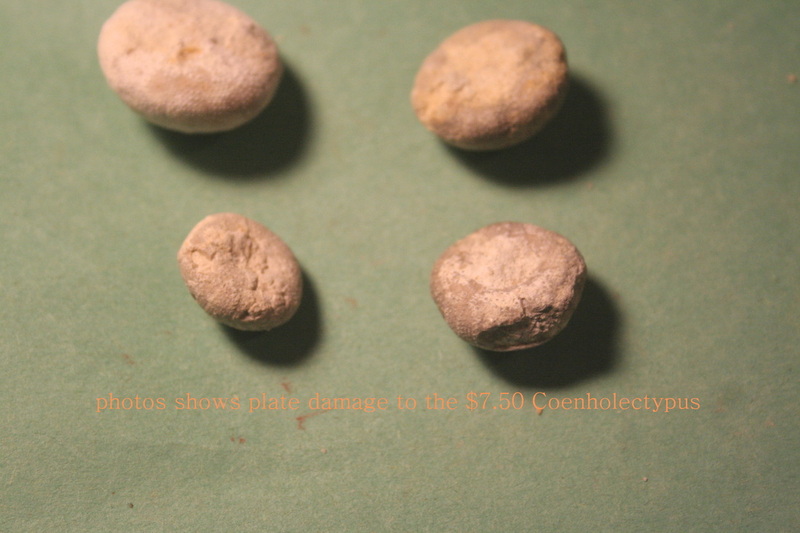 Study quality includes damaged plates, mashed, and with matrix covering details. Foreign shipping available on these. 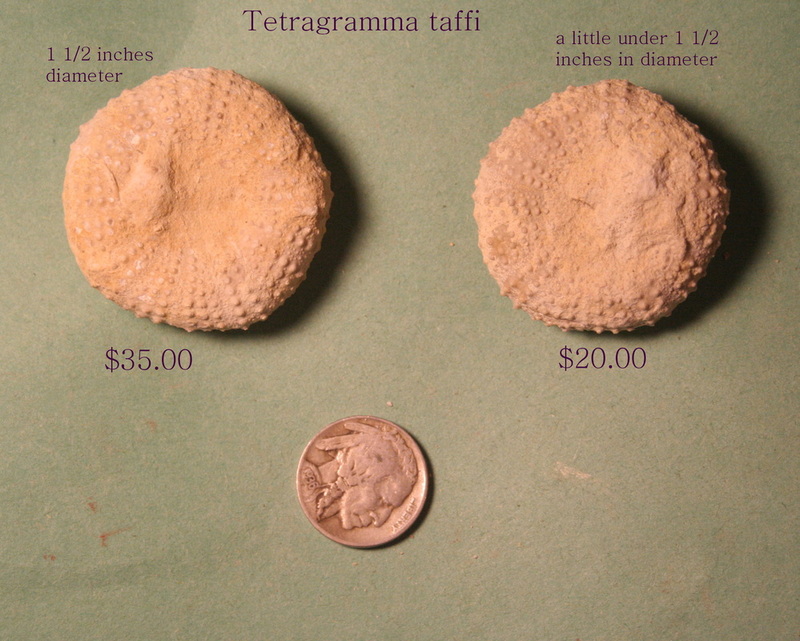 Tetragramma taffi is the rarest large size echinoid found in the Comanche Peak and Walnut formations. 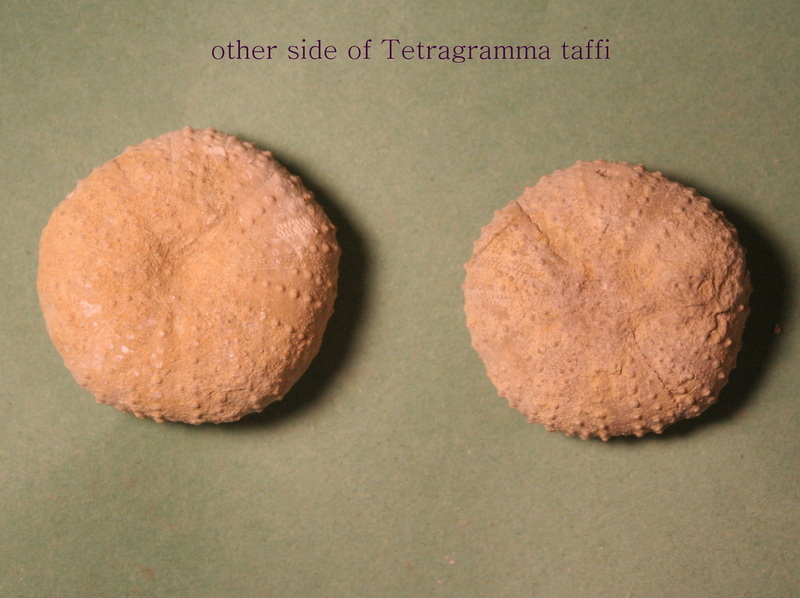 The above are actually small for the taffi. 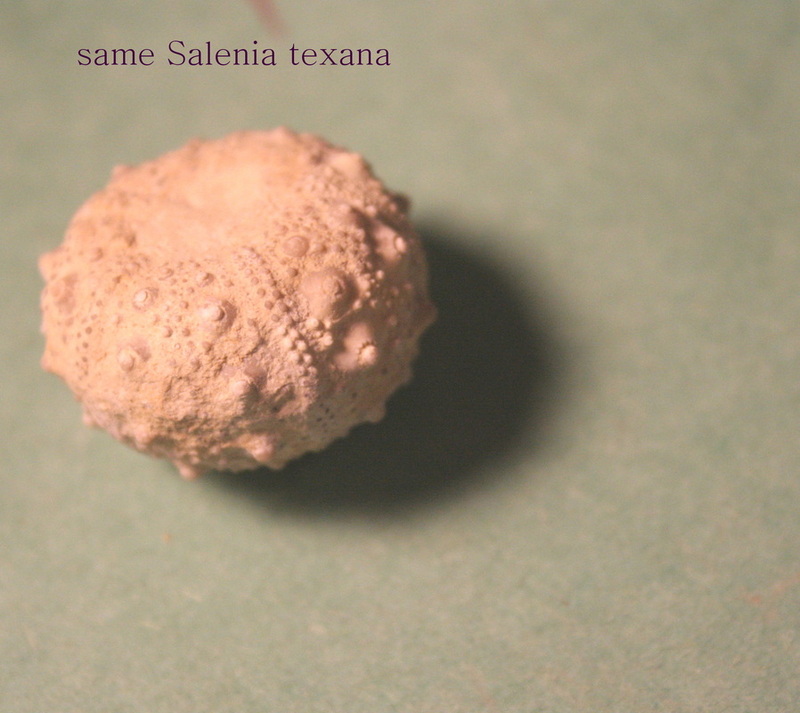 Both specimens are nice, but need cleaning as they both retain lots of matrix that covers most of the details. 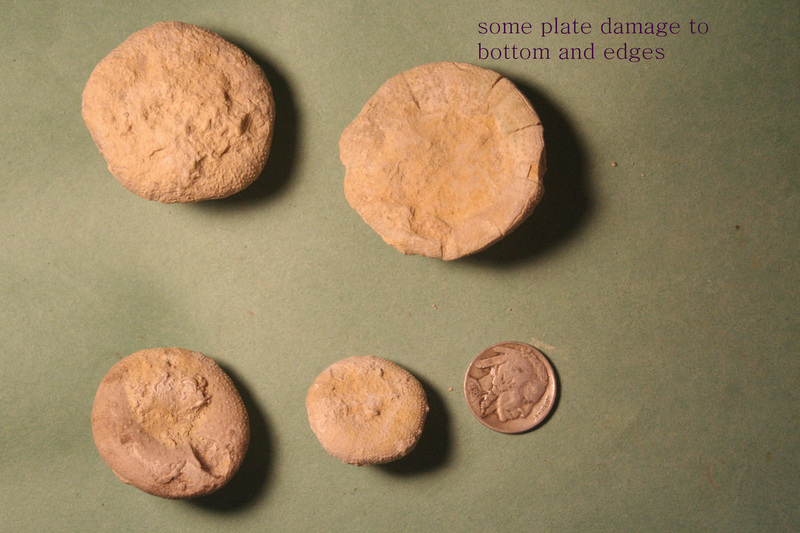 The piece on the right has some plate damage and cracks. One small piece of plates was reattached after washing. Foreign shipping is available. 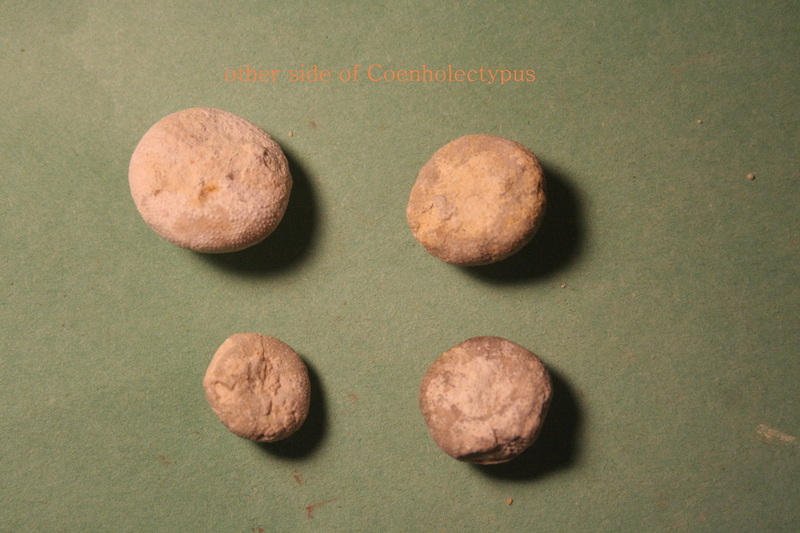 Large Coenholectypus are very rare. 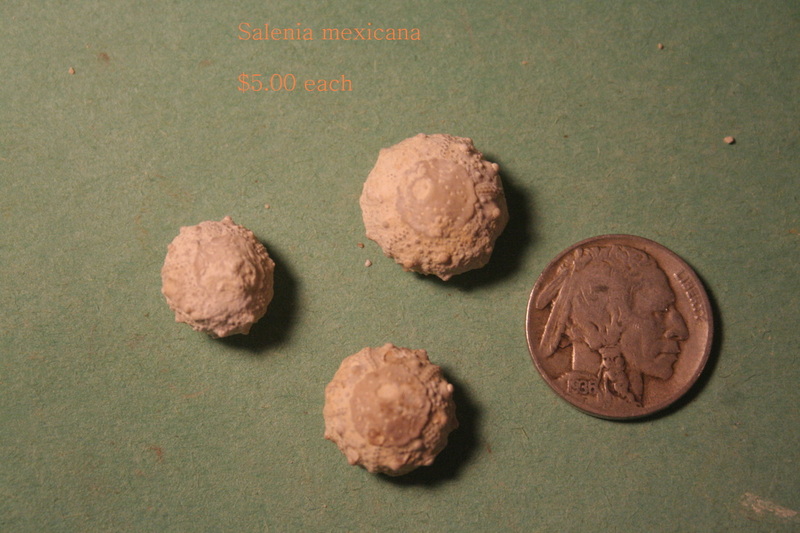 And they are even rarer when well preserved. 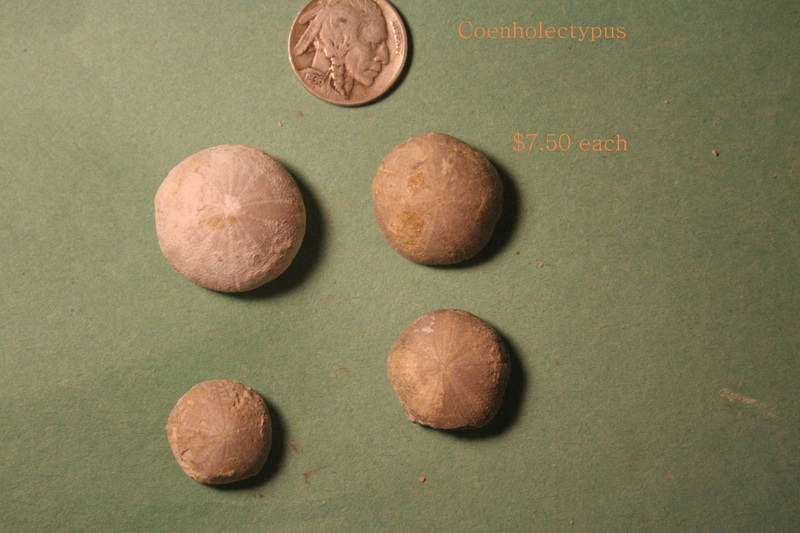 The above are from the Walnut and Comanche Peak formations of Mills County, Texas. I do not know the species of these. Foreign shipping is also available. and one has small piece missing at the bottom(see last photo). Rarely found showing this much detail. Foreign shipping is available. perfect like the above specimen. Foreign shipping is available. 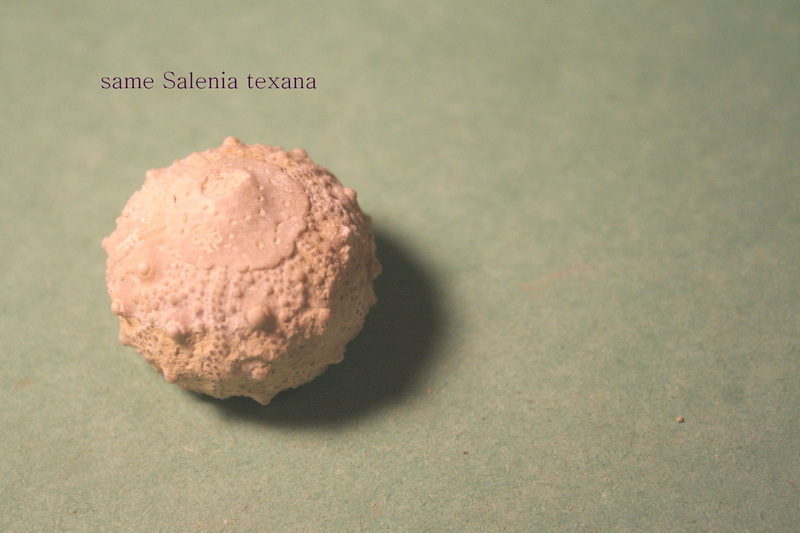 One of the nicest Salenia texana I've found from the Glen Rose formation. 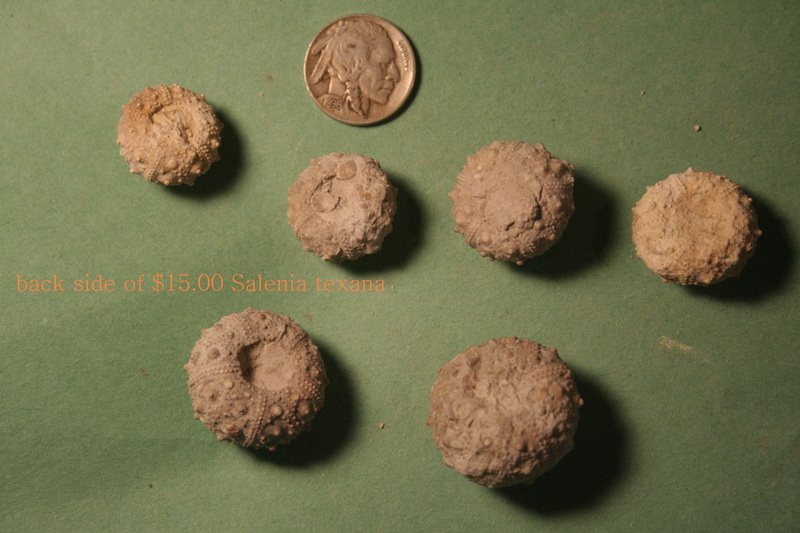 This one was found in Bandera County. 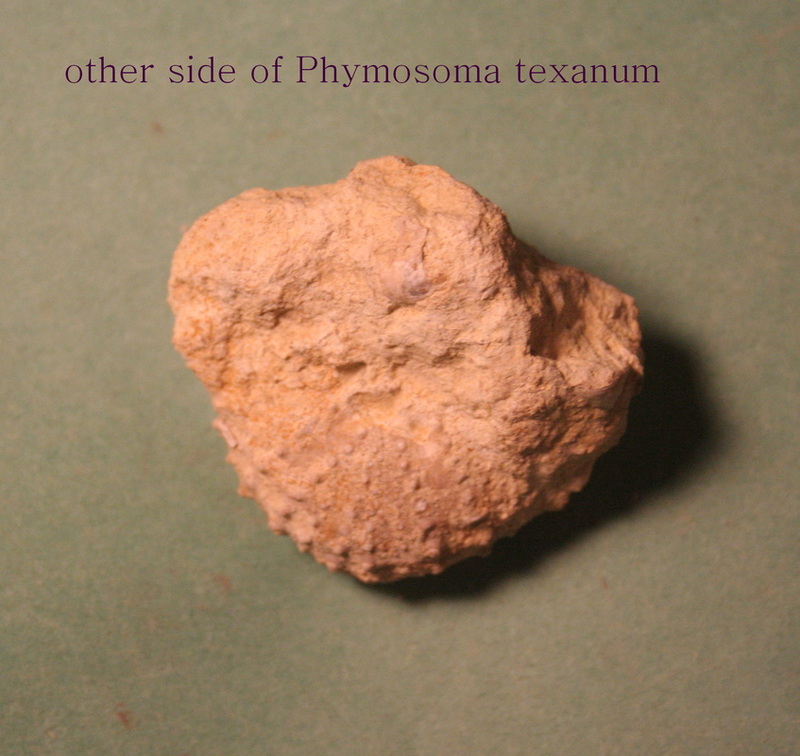 It is larger than most at about an inch in diameter. Very nice detail with just a little matrix. 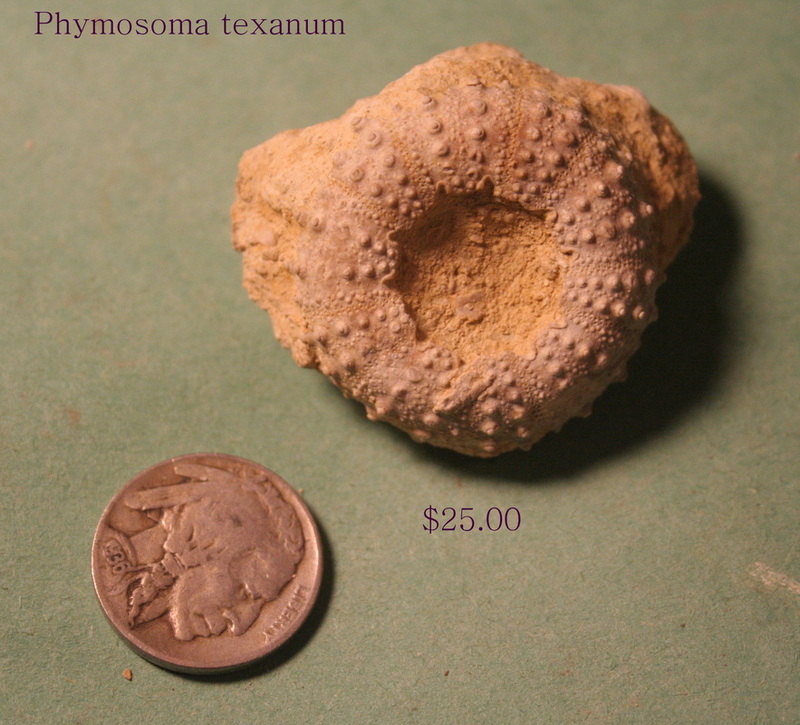 It is priced at $45.00 and foreign shipping is available. 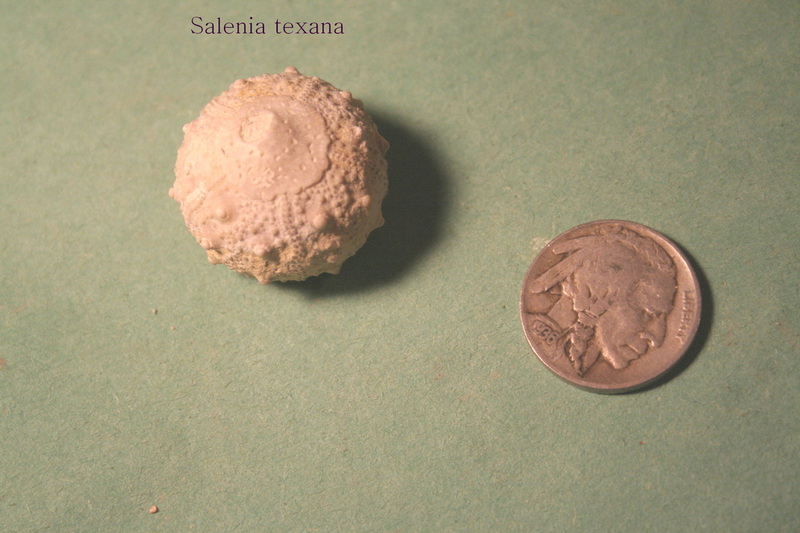 Perfect and near perfect Salenia texana from the Glen Rose formation. 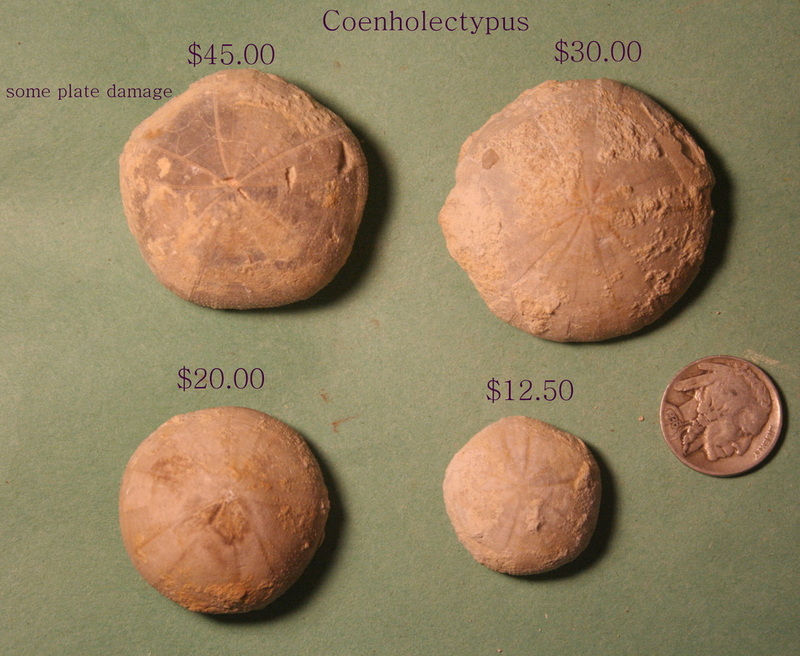 Some matrix still present, but these are very nice specimens. Some of these specimens have been sold..Foreign shipping available. 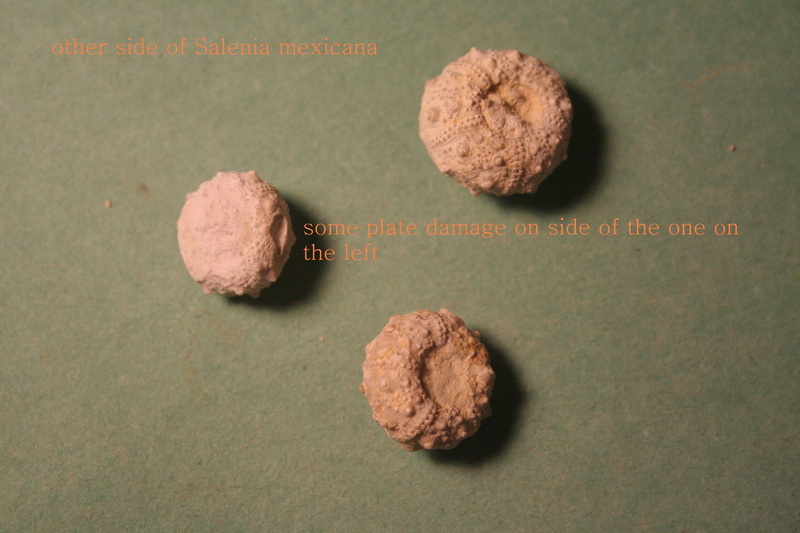 Salenia mexicana are small echinoids. 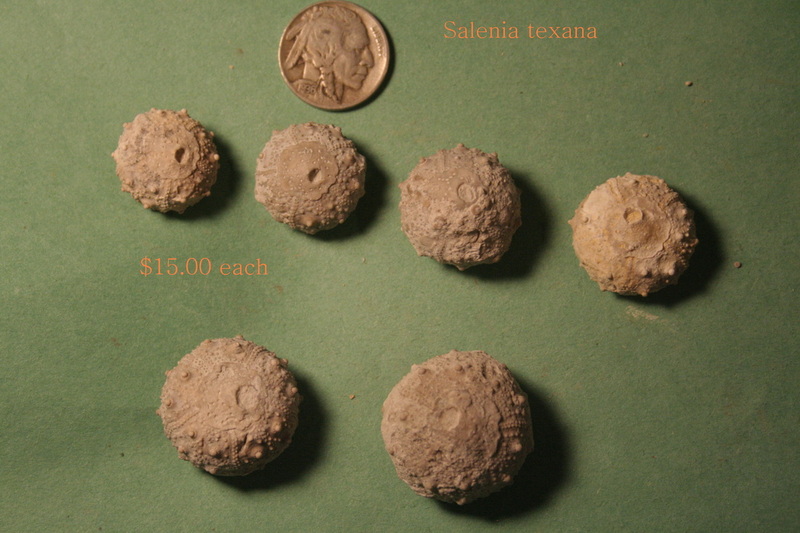 These are from Mills County, Texas. Some matrix still present. 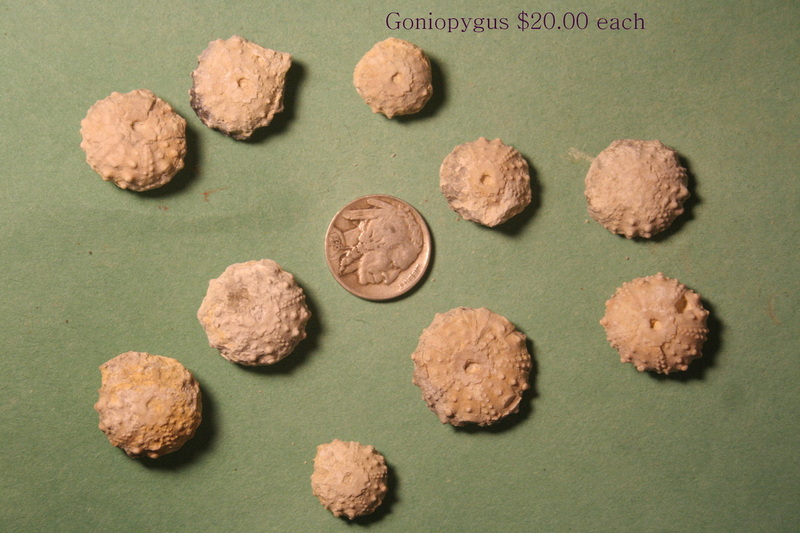 These have been sold, but others are available similar to these. $5.00 each.